QUICK SETTLEMENT POSSIBLE! Unpack your bags and move right in to this IMPECCABLE TOWNHOME ONLY 2 YRS YOUNG in PERKASIE WOODS!!! This sunny Schubert Model includes the luxury package full of upgrades, plus a premium lot backing to trees. Quality construction by Ryan Homes and a tasteful, neutral palette! Gleaming hardwood floors create an adhesive flow throughout the main level. An open concept floor plan allows natural light to brighten every room, and along with built-in Bose speakers creates the perfect atmosphere for entertaining. An expansive cook's kitchen provides plenty of cabinets and workspace, and includes the stainless steel refrigerator. Guests can pull up a stool at the center island or side breakfast bar to lend a hand with the preparations. Choosing to dine al fresco on the second story balcony depends only upon the weather, as it is located just a few steps away from the inside dining area. There is even a convenient built-in butlers pantry. More living space is located on the finished lower level with sliders leading to a covered paver patio. A full bathroom is also located on the lower level, along with access to the 2-car garage. Upstairs, the main bedroom has a tray ceiling and the master bathroom is beautifully tiled with a soaking tub, double sinks and separate stall shower. Two additional bedrooms share the hall bathroom. Transferable builders warranty. 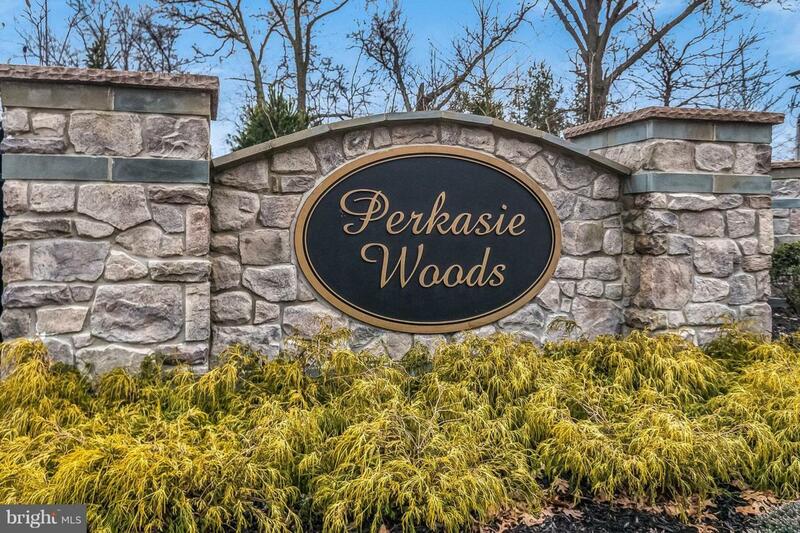 Located across from Lenape Park, it is easy to enjoy all that Perkasie Borough has to offer. Be part of the Spirit of the Perkasie Community - including the amazing Menlo Park/Aquatics Center, shopping, dining, and cultural events. This is a must see!